Jared Unzipped: The Triumph Of The Rock Lords! When you think of the greatest toys from the 1980's, there are many prime examples that would all be worthy of mentioning. Transformers, Thundercats, The Real Ghostbusters, G.I. Joe, Barbie and Masters of the Universe -- each and every one is a winner. But... there is another toy line that's often forgotten about. This series featured sentient robots battling it out on a faraway planet. 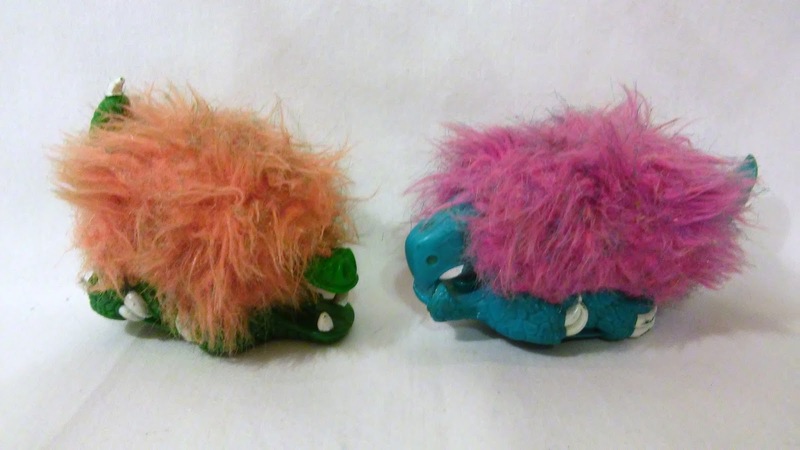 The toys had unique and often novel designs, each with a distinct personality and profile. Unfortunately... they were robotic rocks. Of course, I'm talking about Rock Lords. Oh look... a group of normal, non-menacing rocks! The Rock Lords toy series began in 1986 as an off shoot of the floundering GoBots line. They were initially presented in the animated feature film GoBots: Battle of the Rock Lords. From that point on, the toys received no media support, which definitely hindered any chance for real success. At this time, Hasbro's Transformers were dominating the toy robot market. 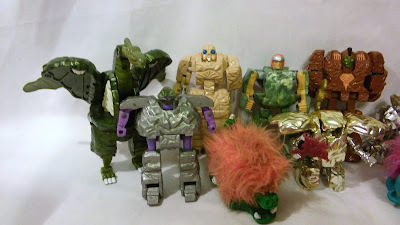 Tonka, the owners of the sinking GoBots toys, decided the best tactic was to throw rocks at the Transformers. It was most certainly a boneheaded idea, but that doesn't mean the Rock Lords toys themselves weren't fantastic. In fact, they're awesome! Unsurprisingly, the Rock Lords began their existence as a segment of the Japanese Machine Robo toy line, produced by Popy. Tonka imported them for release in North America, just as Hasbro did with many of the toys in the Transformers series. For example, the Rock Lord we know as Slimestone was originally released in Japan as Magnarock (MR R-5). Each Rock Lord had it's own captivating backstory and design based upon a certain type of mineral or stone. Boulder, the leader of the good Rock Lords, was composed of tungsten. The evil Rock Lord leader, Magmar, was an igneous rock. This was a standard for the entire toy line, creating a dense universal narrative. The characters had weight (literally in some cases) and substance. They weren't just transforming rocks... they were characters that could seemingly come to life in the mind of an imaginative child! 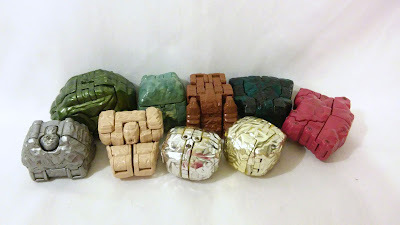 Not every character in the Rock Lords toy line was a robotic rock, though. 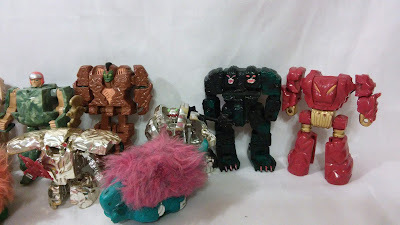 You had the Narlies, which were fuzzy critters whom lived on the Rock Lords' homeworld of Quartex. They were really interesting little toys that featured a unique rolling action feature. Pushing them across a hard surface would activate an internal mechanism, thereby making the Narlies move their mouths and tails. Also present in the series were the Rockasaurs, a keen mash-up of rocks and dinosaurs. Only two were released -- the flying Terra-Roc and the rhino-like Spike Stone. 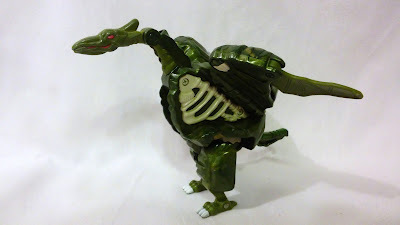 As a twist on the gestalt combiner concept, the Rock Lords even had their own monstrous dinosaur robot called Fossilsaurus. Four individual Fossil Lords would combine to create the terrifying Rockasaurus Rex! This combiner set is quite hard to find and very valuable on the collector market. Considering how great the Rockasaurus Rex set is, I can understand why. It's a shame more rock/dinosaur hybrids weren't released in this series; they look phenomenal! Over the course of three series, the Rock Lords tried to invade the hearts and wallets of a robot-crazed consumer base. As a concept, the Rock Lords had a lot of untapped potential. Future series could have explored other metal, alloy and space themes. Unfortunately, the Transformers were just too much of a powerhouse to be stopped. The Rock Lords were squashed, right along with the GoBots. Though, I have nothing but fond memories of the series. 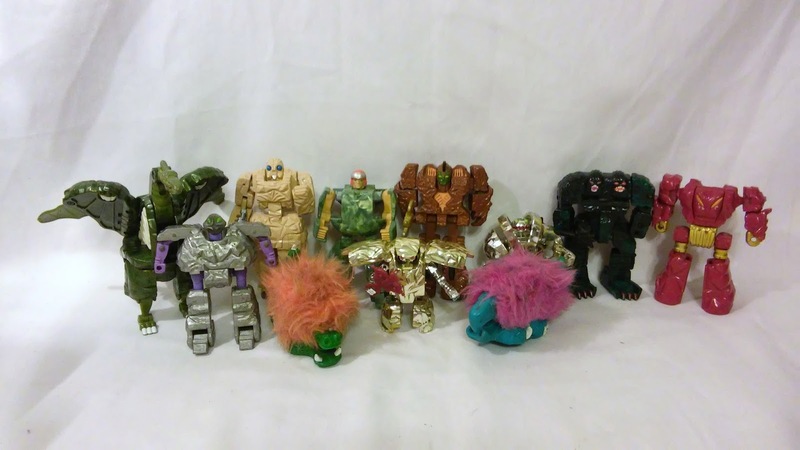 The Rock Lords are excellent toys that any fan of the 1980's should celebrate! They'll be remembered for their innovation and willingness to try something different. Even though they weren't a financial success, the Rock Lords can never be labeled as uninspired or lacking merit. Man I remember these things! I had a few, I totally forgot what they were called! They were so cool!